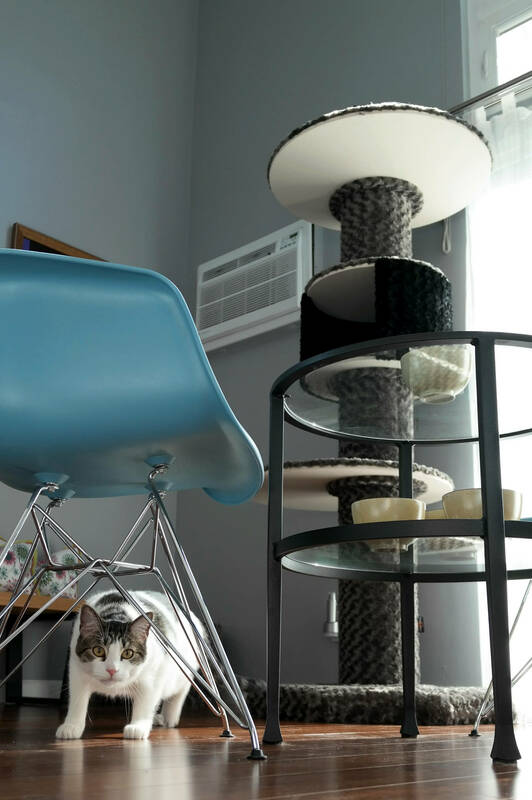 Our floor condos are designed to give cats a lot of surface area while occupying only a small footprint. 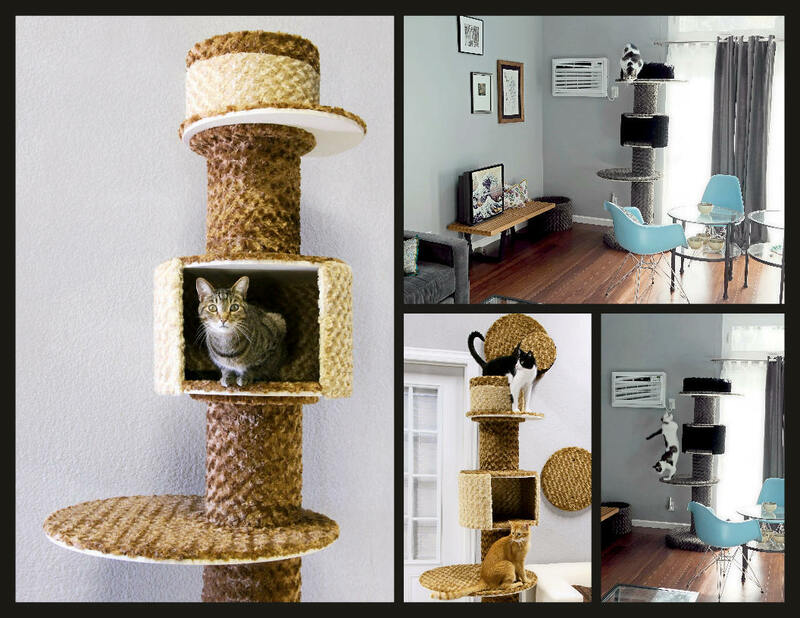 These condos offer some degree of tree-climbing experience, but are primarily intended to accommodate multiple cats while providing safe-places that are spaced purrfectly out of reach from one another. The floor condos offer the largest ergonomic surfaces of our entire collection, creating highly functional playgrounds with a soft luxurious texture that looks so good it doubles as home decor. Hypoallergenic and bleach-safe fabrics make it a much cleaner option, and underneath the fabric is a recycled padding layer wrapped around a stable core that is both strong and flexible. 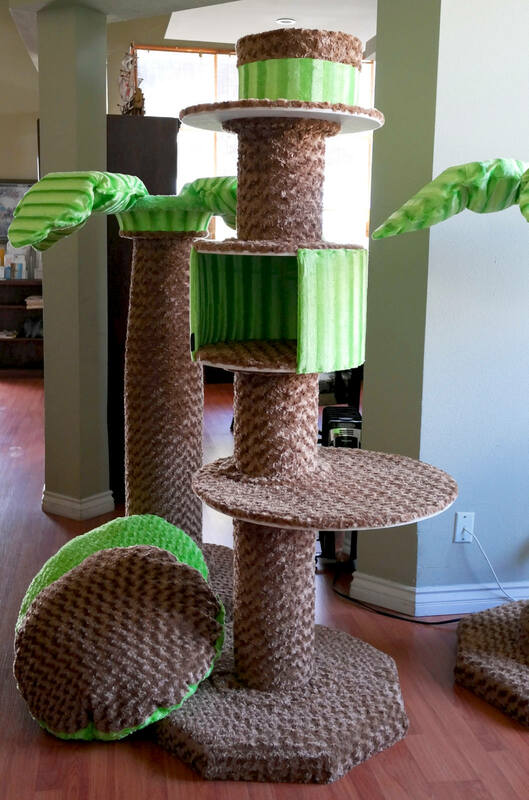 The large trunks gives cats a great core workout every time they climb up it, helping to improve over all strength and digestion while also relieving stress. 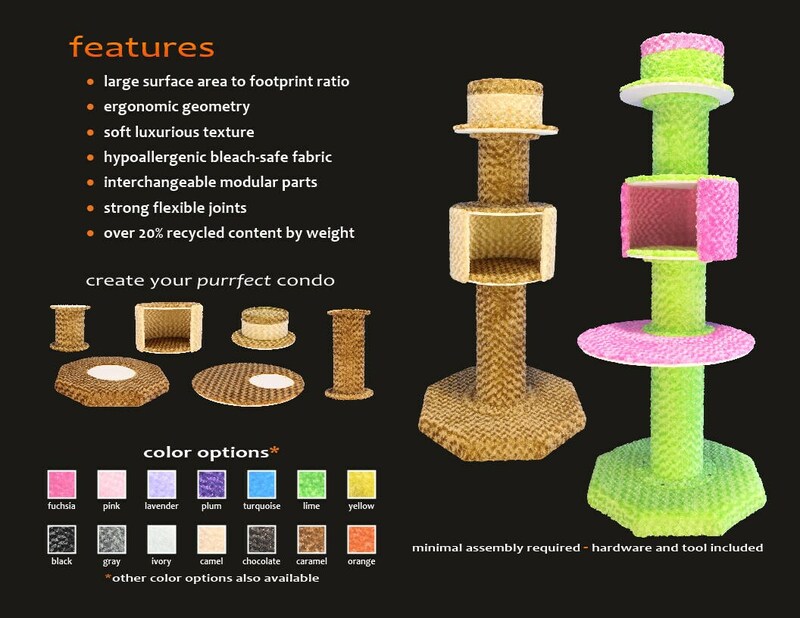 This is a modular Cat Condo, made up of various parts - A Base, elevator, platforms and risers (assembly takes approx. 5 minutes). Each of the various parts is lightweight, and the entire unit can fit into the back seat of a compact car when disassembled. Each part is replaceable, and is between 15-35% recycled content by weight. 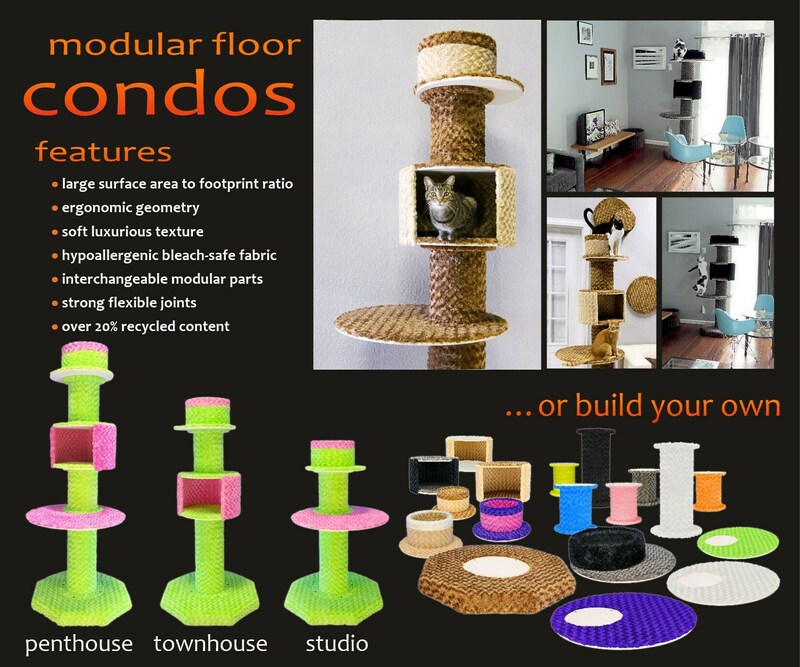 The Floor Condo Studio stands 51 inches tall, with a 31" wide base - the first ever Modular Cat Condos!.. 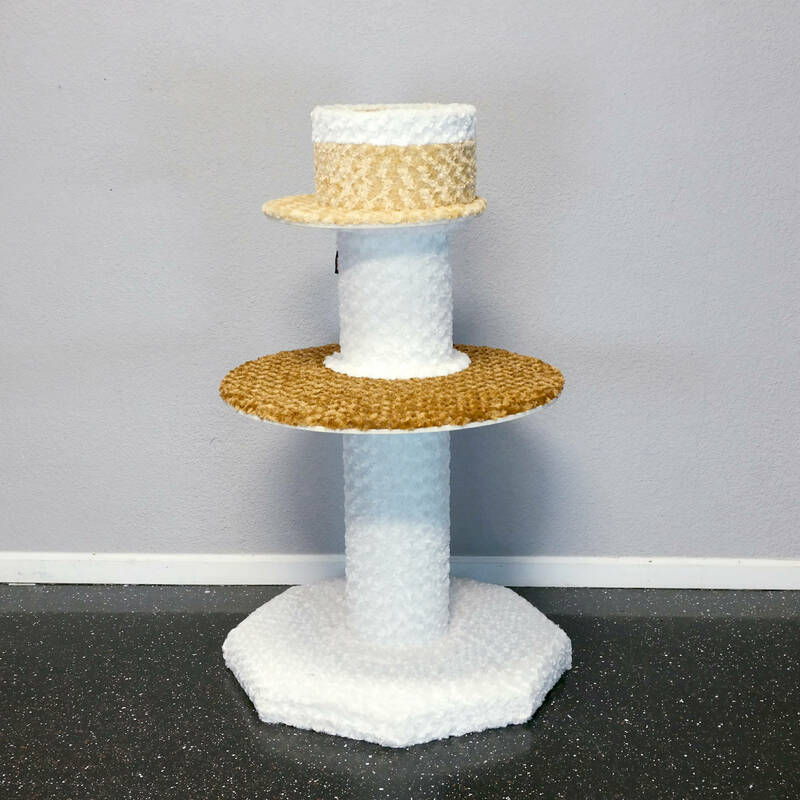 designed especially for your cat's anatomy. The Penthouse - Largest layout and highest function, greatest vantage point. The Townhouse - For placing your unit next to a couch or other common seating area. 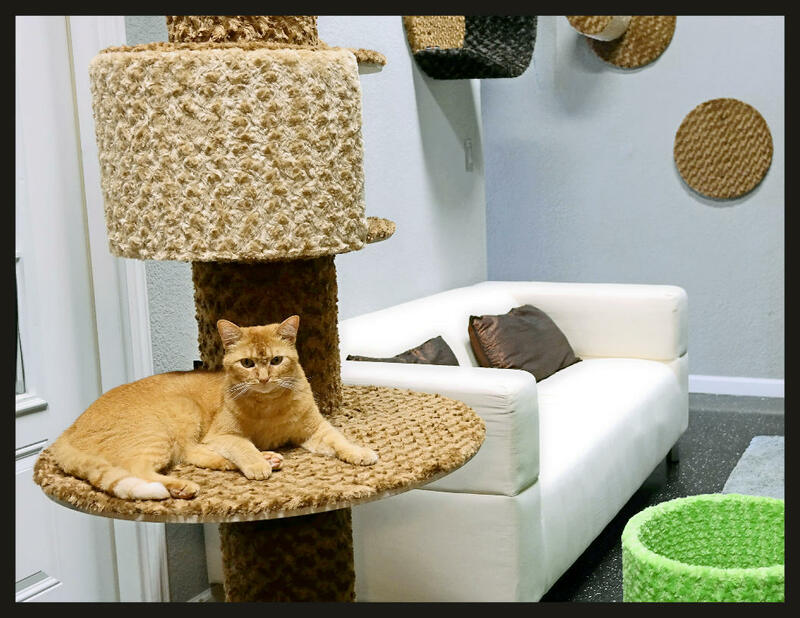 The Studio - For the minimalist, the feline who just wants to be at arms reach, while still having a cubby to nap in. Primary color is used on structural/climbing parts (base, elevator, risers). Accent color is used for trim on interactive parts (platform, cave, bassinette). Please select Primary color from drop down menu, then specify accent color in Buyers Comments. We will contact you to confirm colors prior to completing your order. Due to the extra-large nature of these products, shipping is over-estimated with all shipping overages being refunded post shipping. 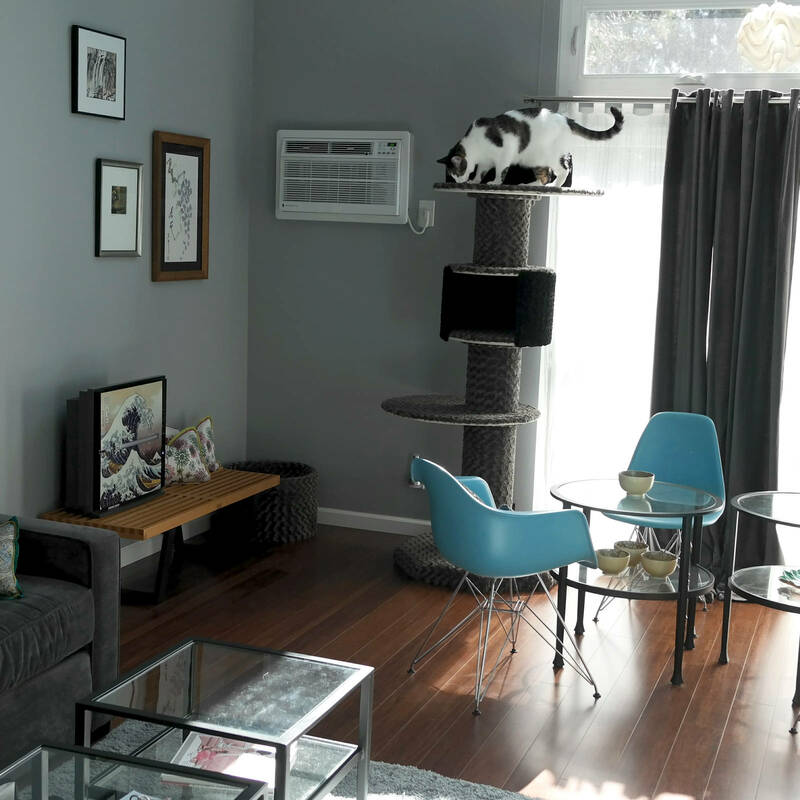 Modular floor condos come in 2-4 boxes, depending on size and customization features. 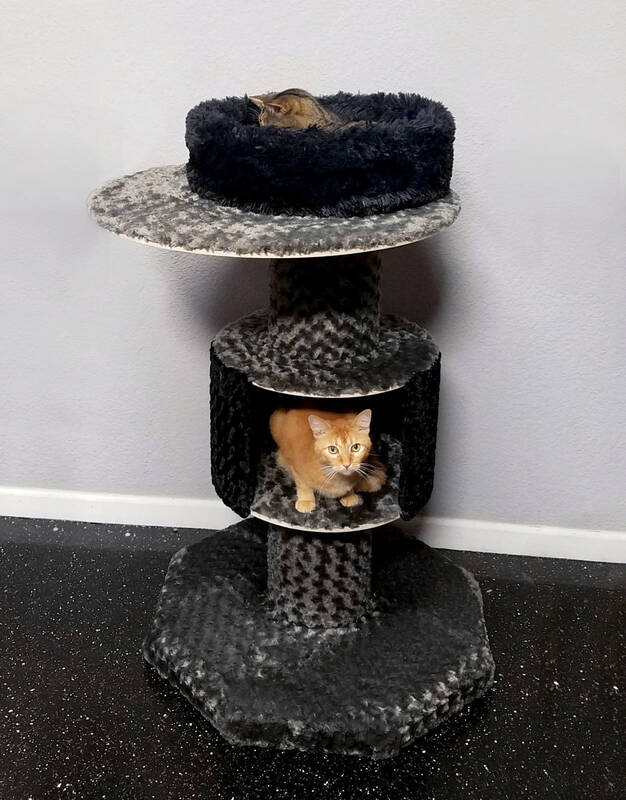 In addition to keeping an Eco-focused approach to design and production, a portion of each sale goes to helping shelter and feral cats. 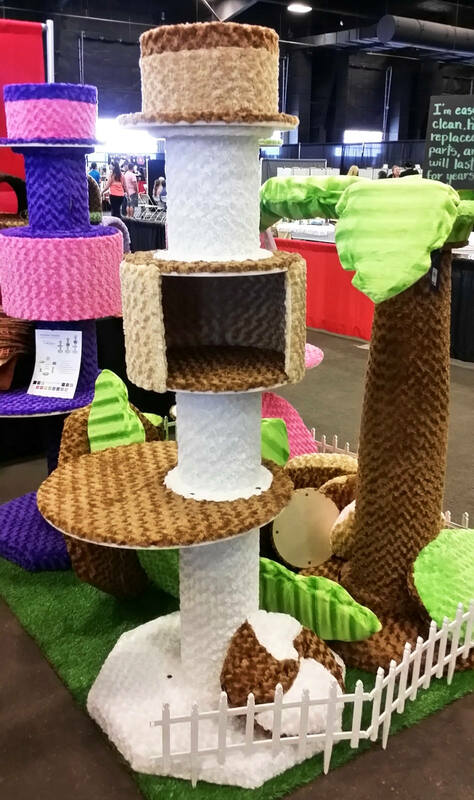 Help your cat, help shelter and feral cats, and support a sustainable cause... all at the same time! What's not to love? My cat loves it! He’s able to spy on my neighbors now, so it’s working great! Thank you.